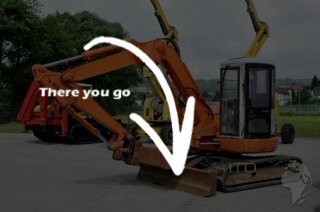 Artikel-Nr. 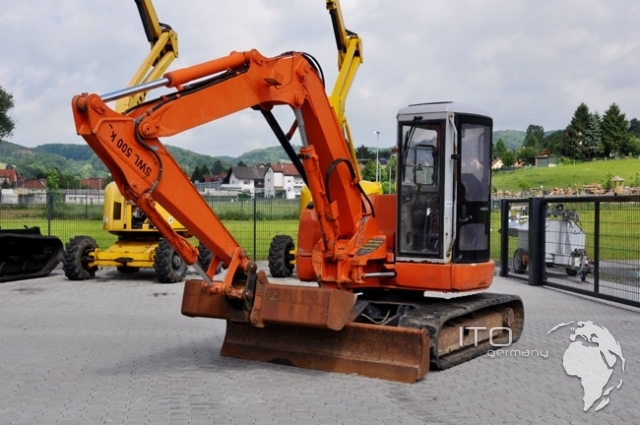 : 14740 This machine has a new owner. 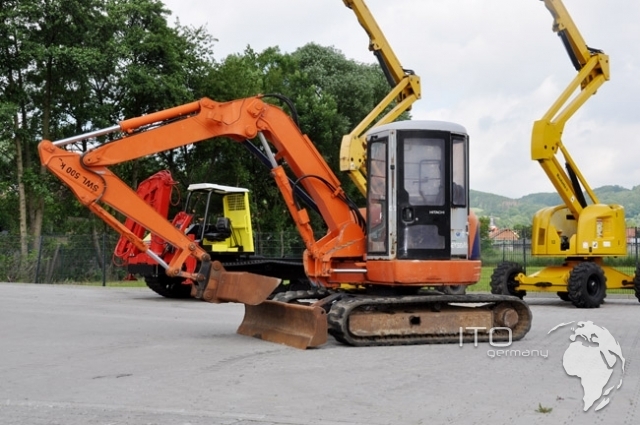 But no problem: Below you can find similar machines we have in stock. 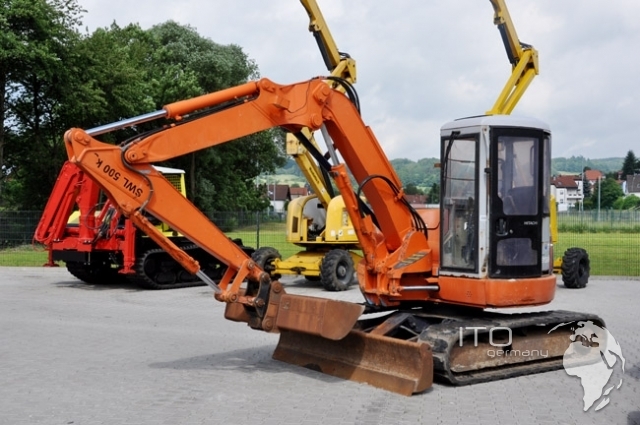 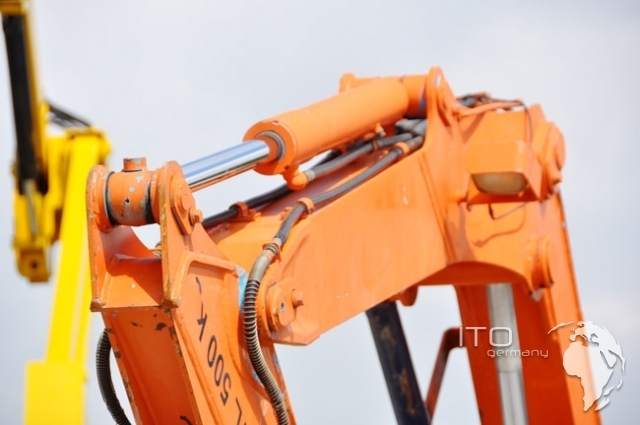 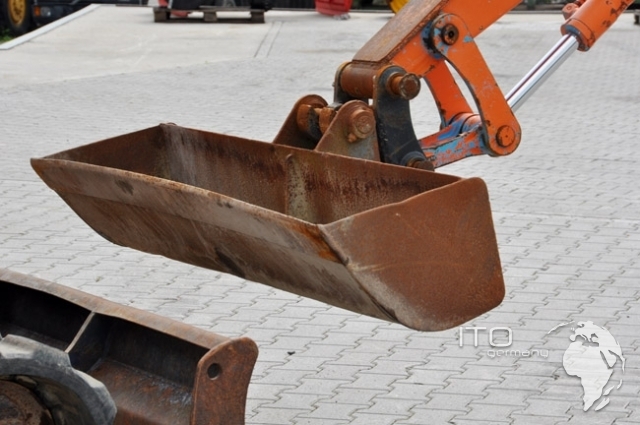 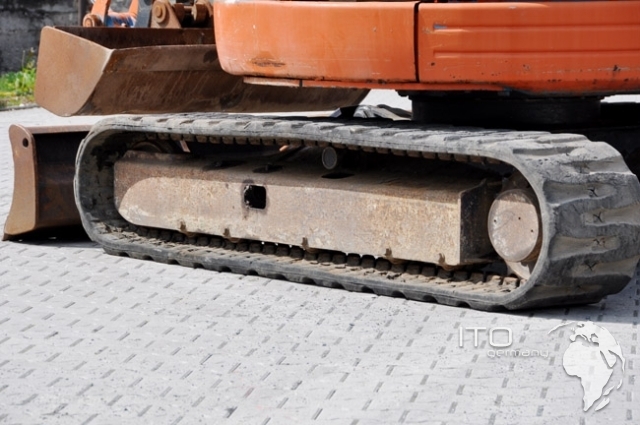 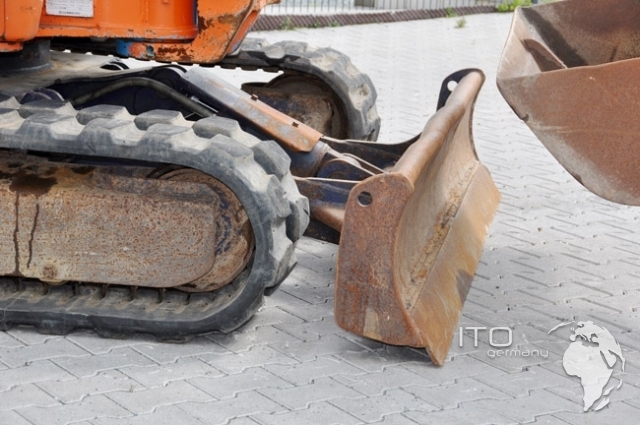 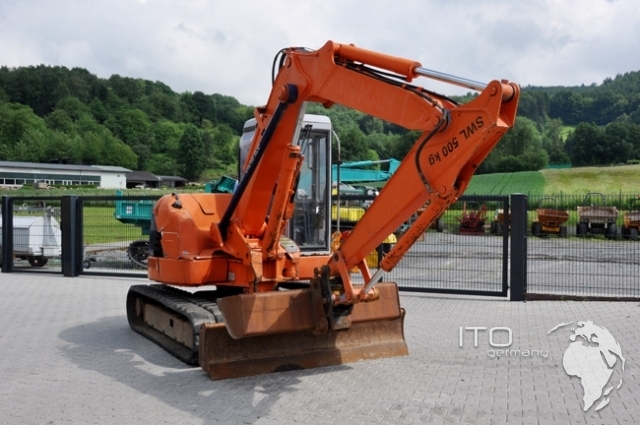 Gebrauchter Hitachi Mini excavator EX58MU mit Gummiketten weight: operating weight 5550 kg Dimensions: total length 5240 mm total height 2570 mm total width 2090 mm ground clearance 330 mm rubber track width 400 mm engine: Isuzu 4LE1 performance 29,4 kW / 40PS at 2100 U/min Steigfähigkeit 30% travel speed 2.7 / 4.4 km/h ffuel tank 68 L Schild cab more used Mini excavator low-priced to sell. 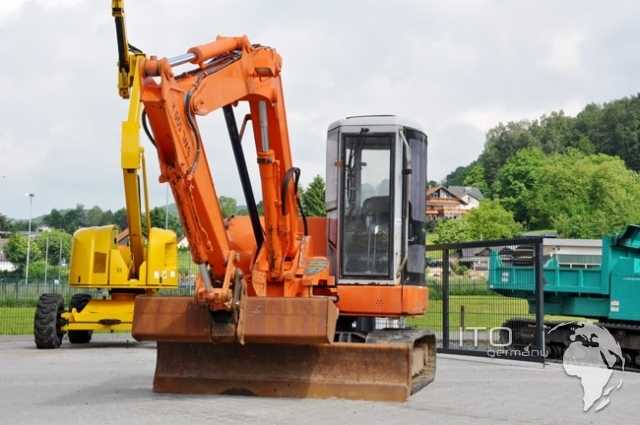 in offer Takeuchi Mini excavator TB 175 so how Hitachi EX 75 US mit Gummiketten. 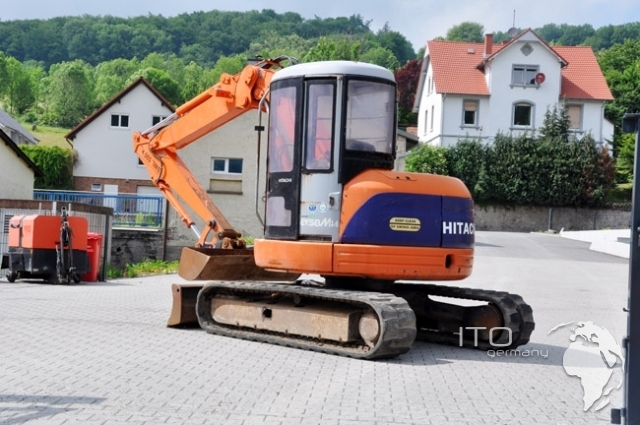 the angebotene Hitachi EX 58 MU Mini excavator hat 400 mm Gumiketten. 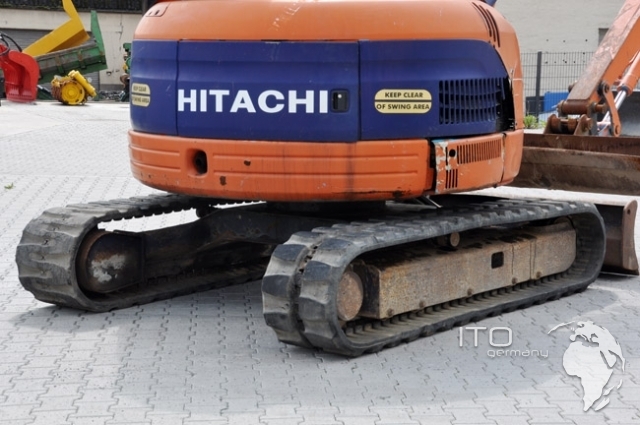 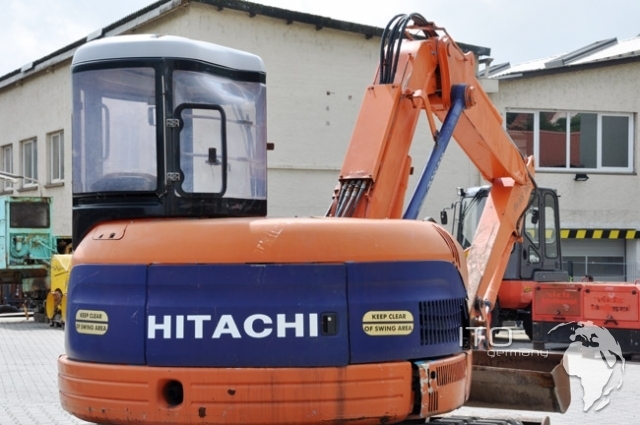 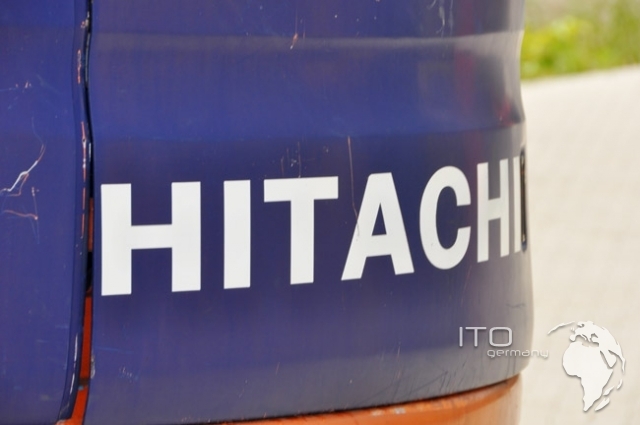 Machen Sie us a kauf offer for the Hitachi EX 58 MU.